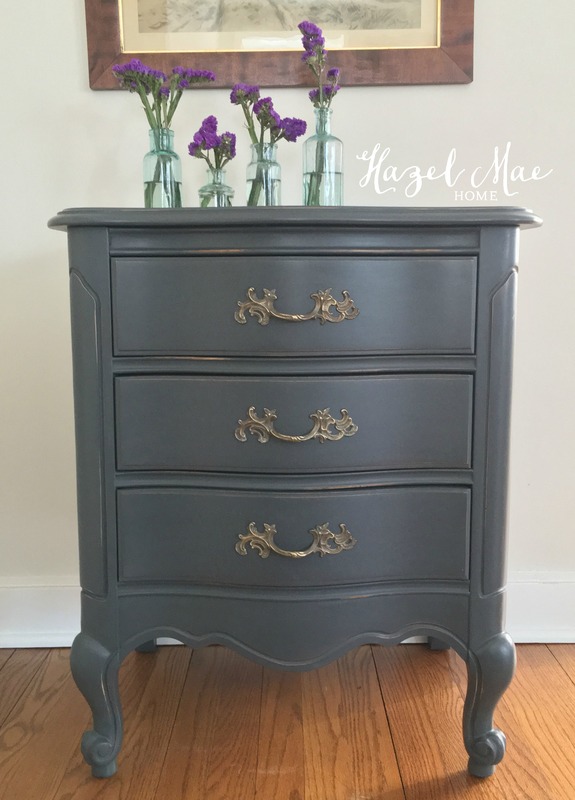 ← Merry Christmas from Hazel Mae Home! 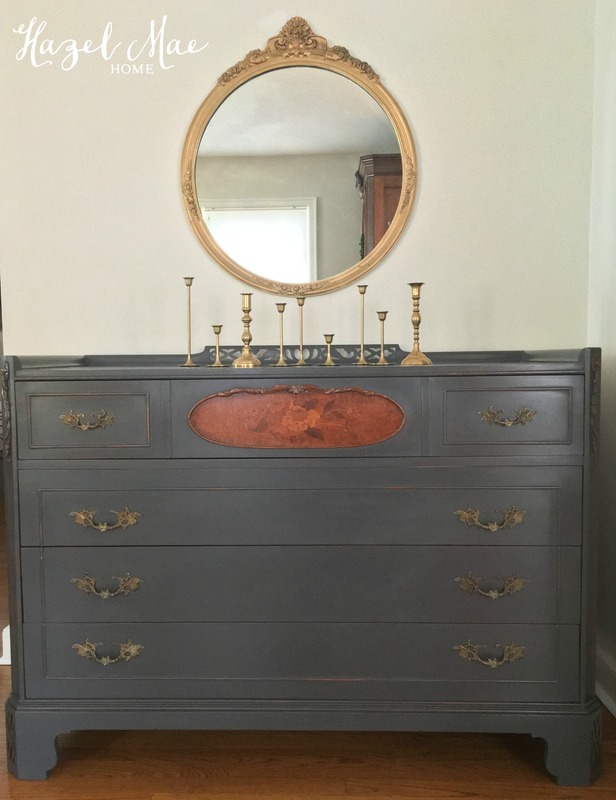 Happy New Year and Happy New Buffet! 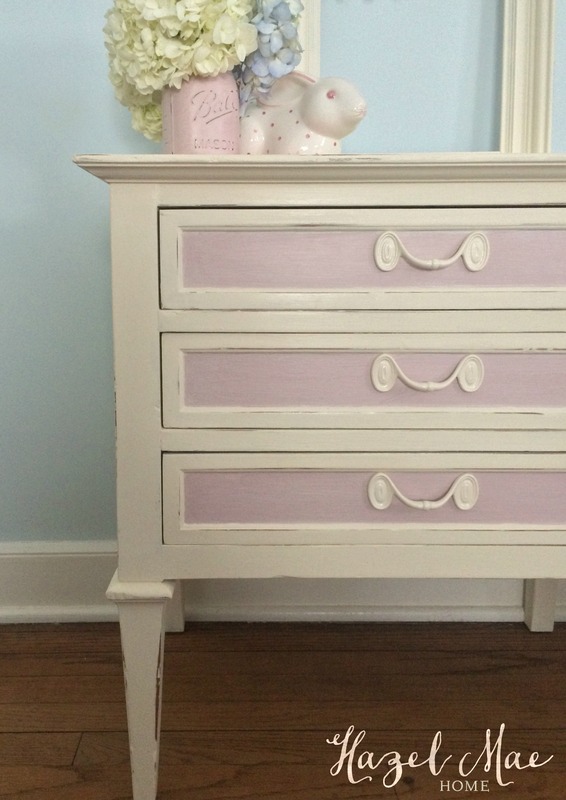 I wish you all health and happiness … and painted furniture in 2014! 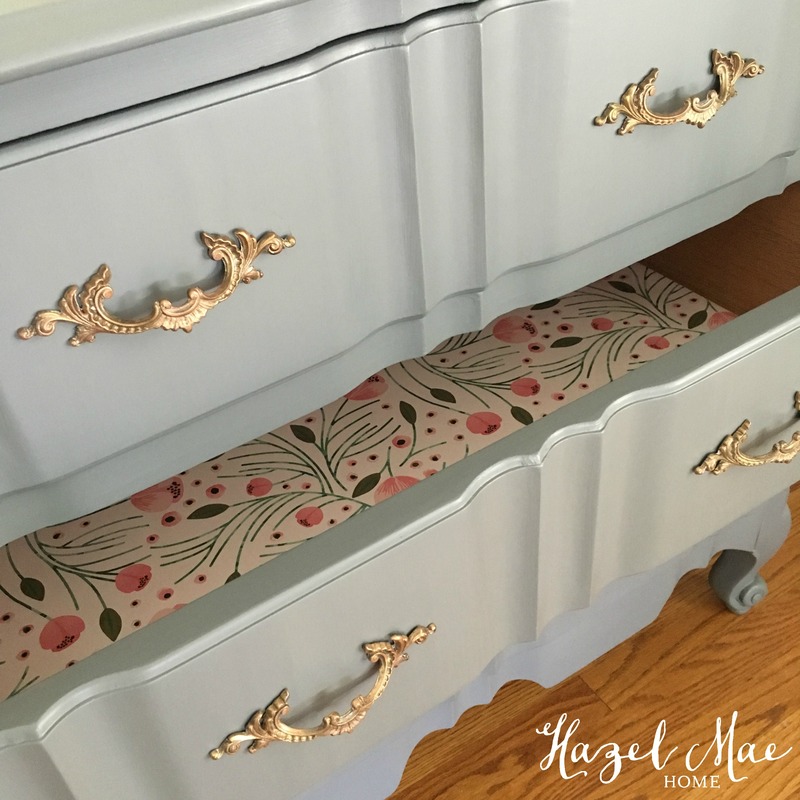 My paintbrushes have been busy and I’m excited to share some of my recent redesigns with you! 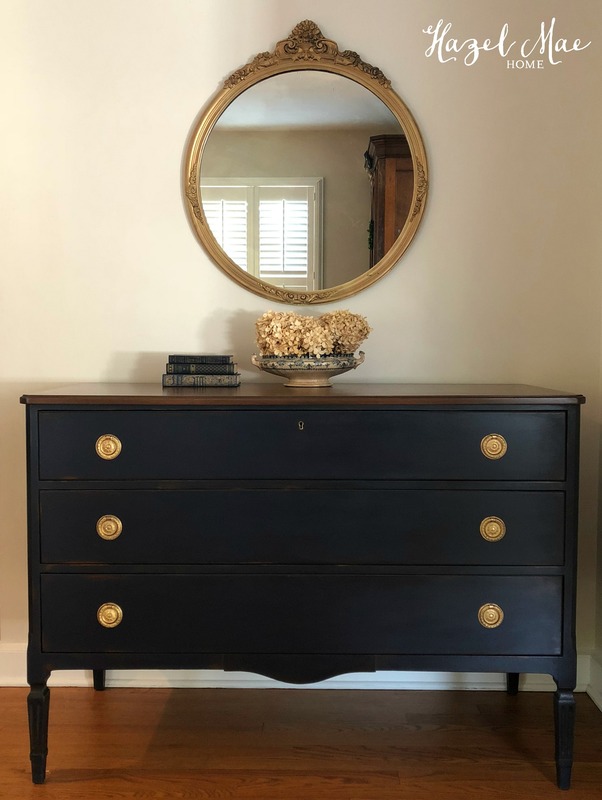 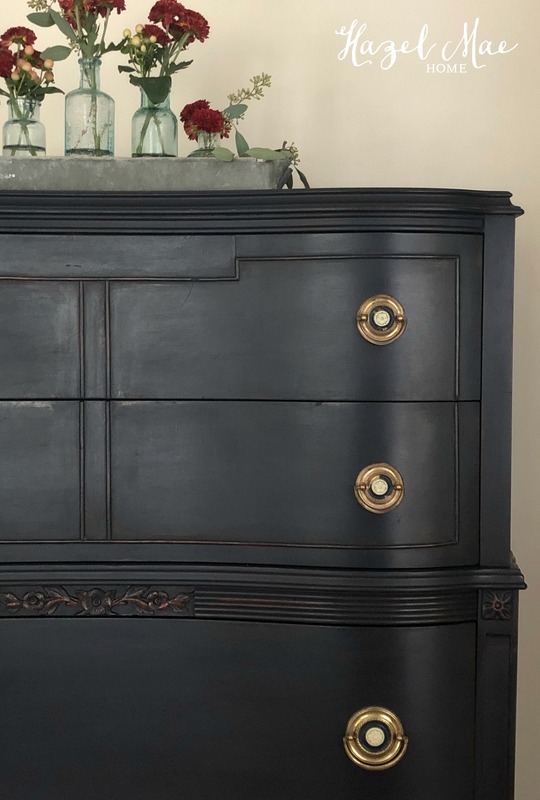 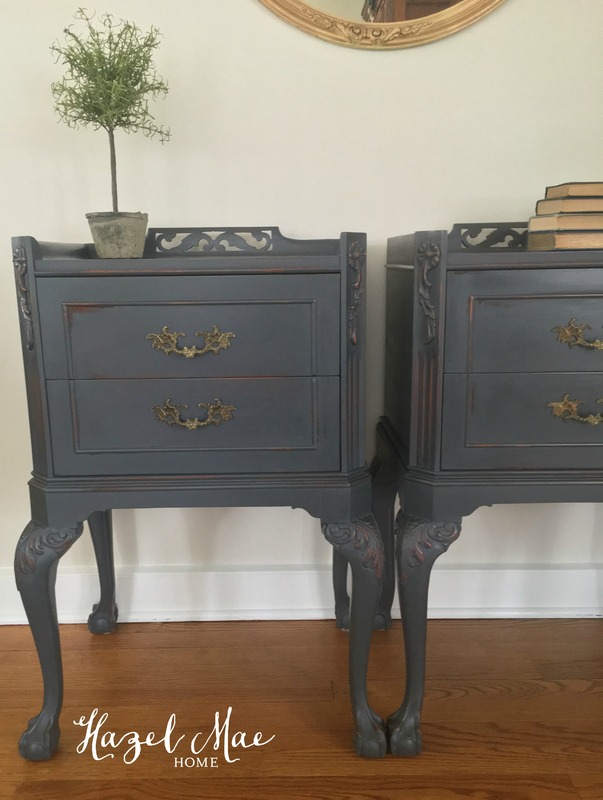 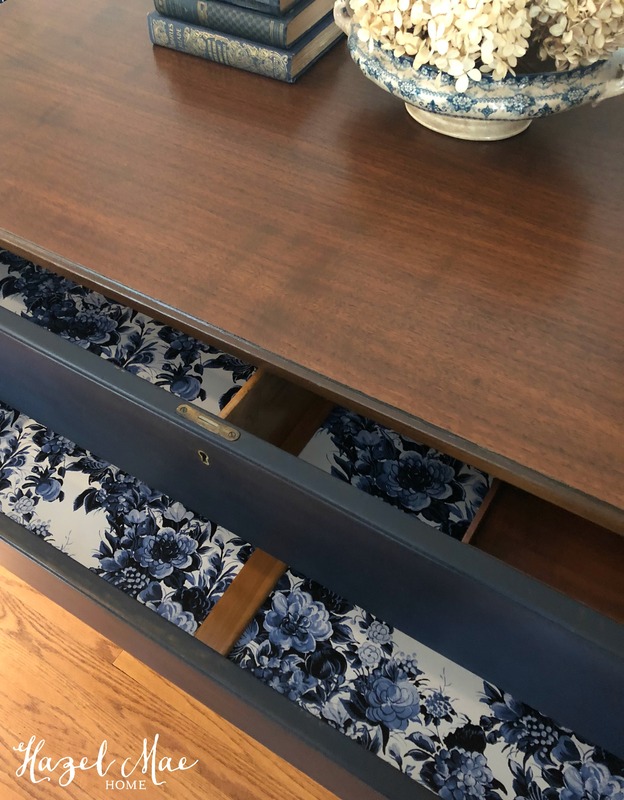 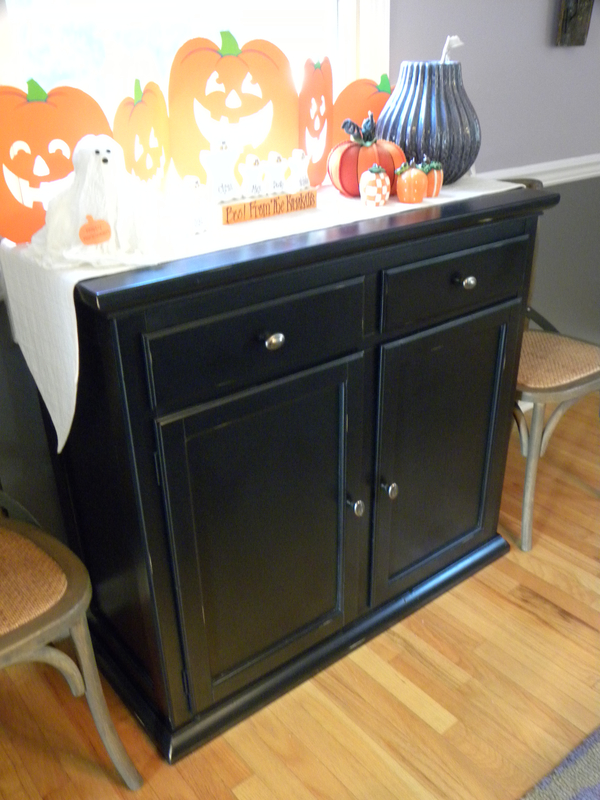 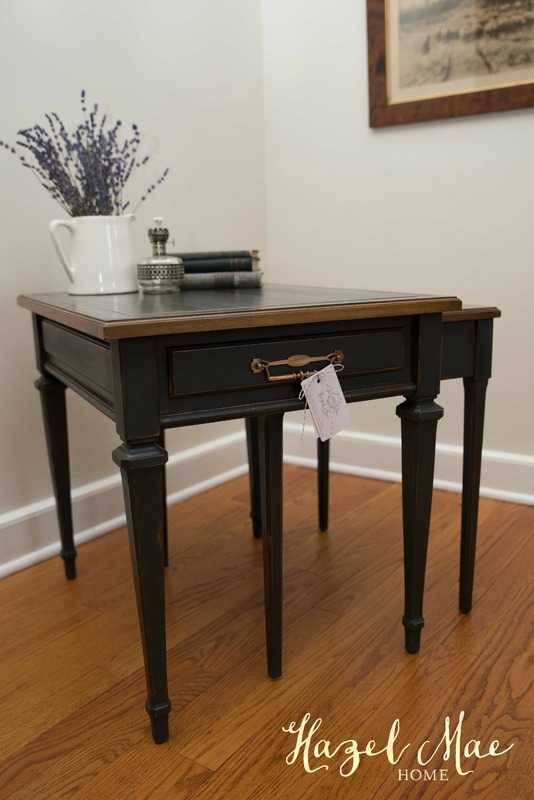 This black Pottery Barn buffet was a wedding gift to Lexi and her husband from Lexi’s college girlfriends. 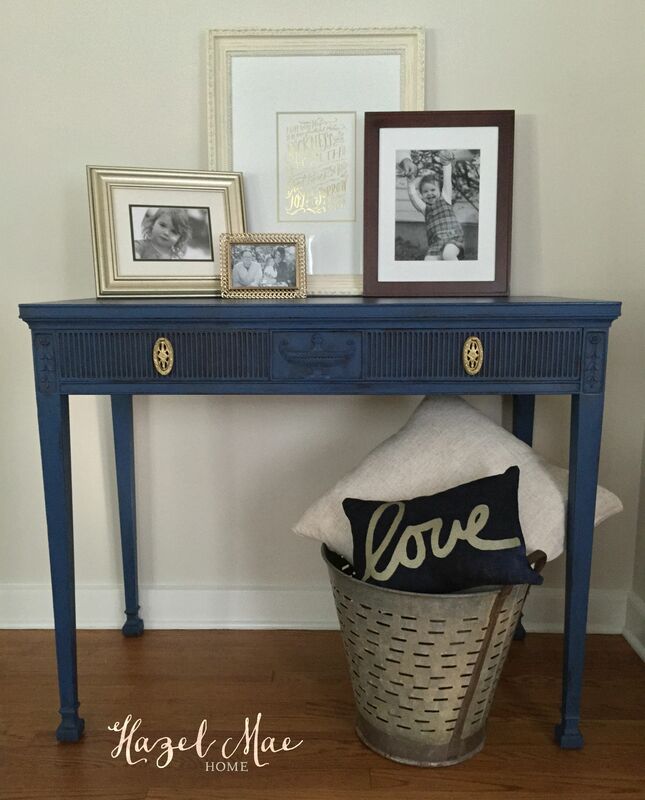 It is a special piece to her, but it didn’t fit the vision she has for the dining room in her new home. 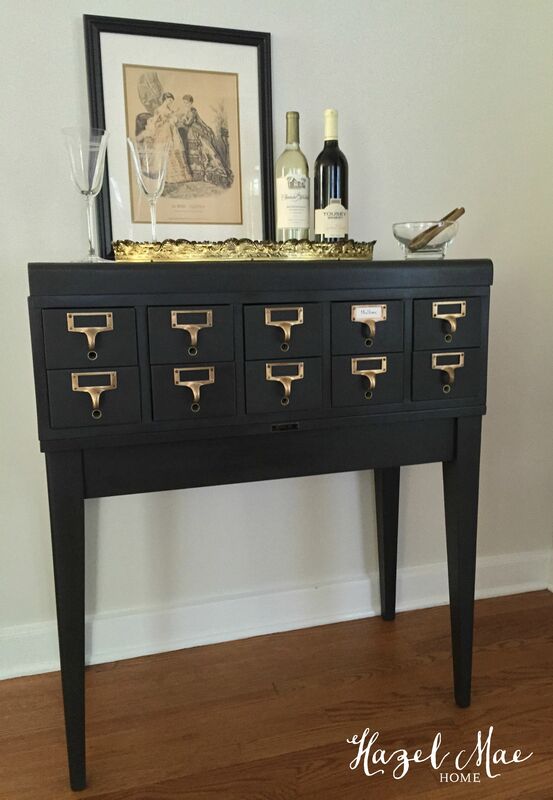 The black finish was just too heavy and the hardware quite boring. 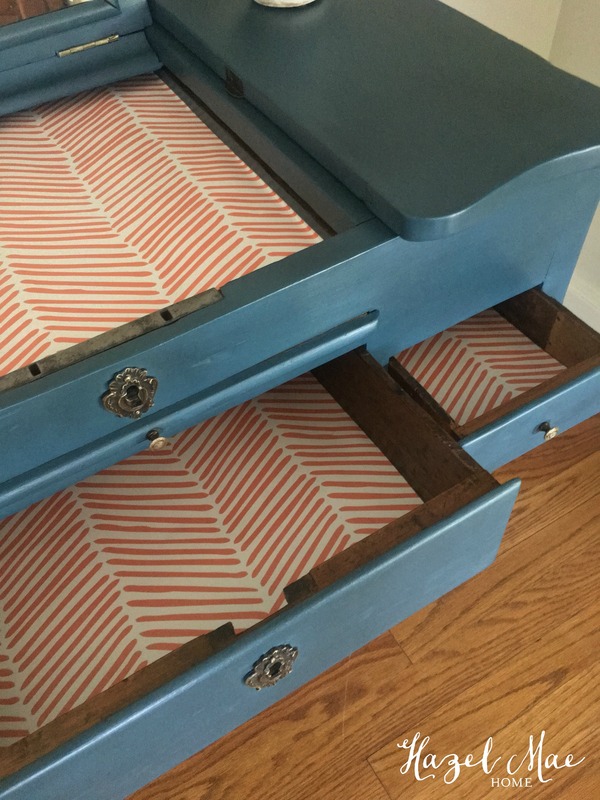 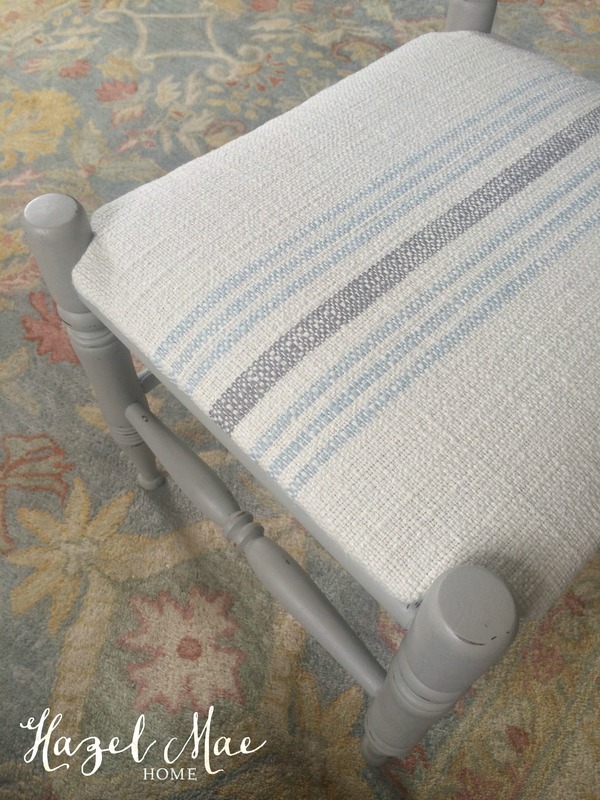 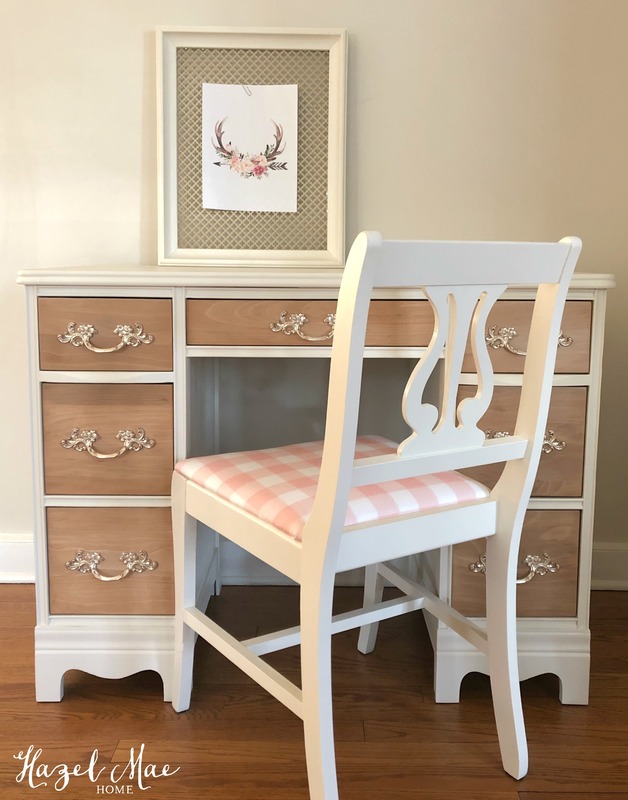 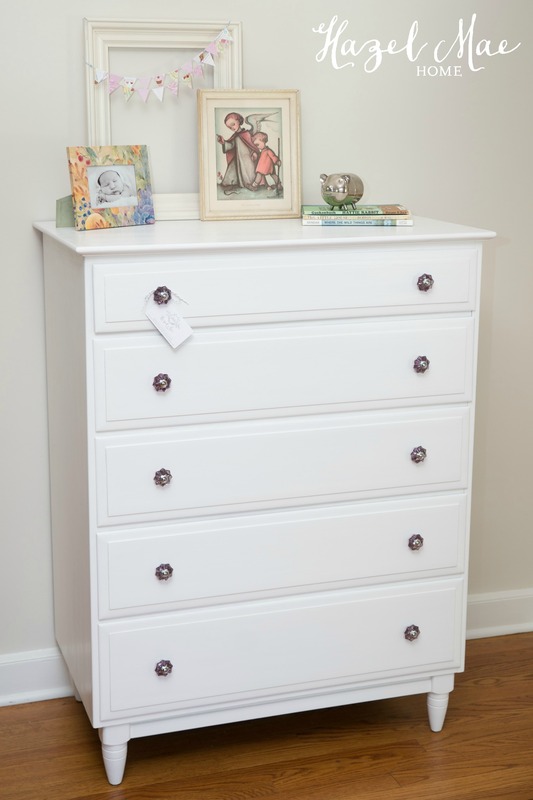 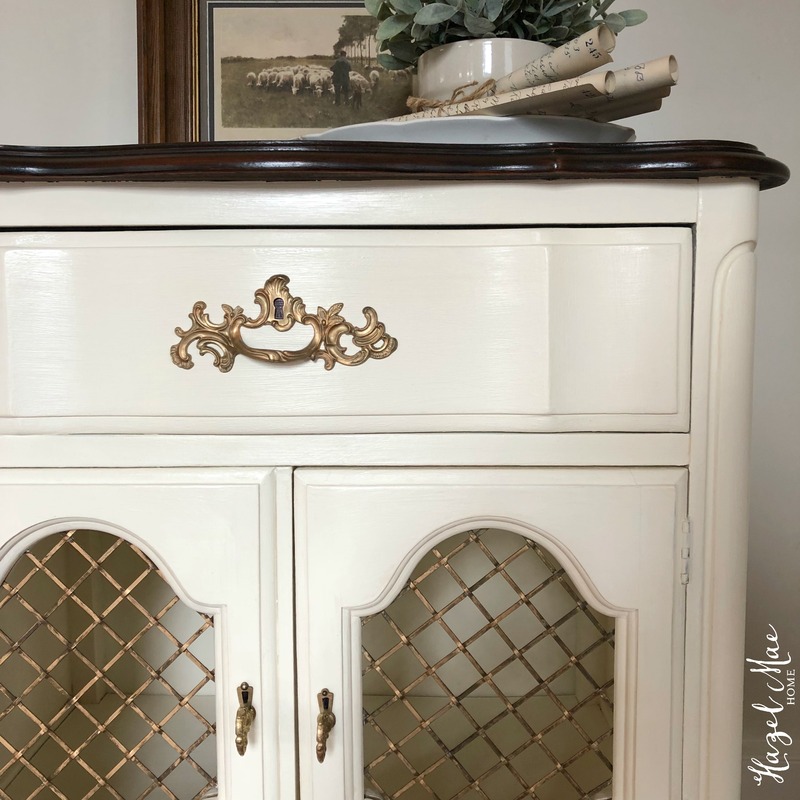 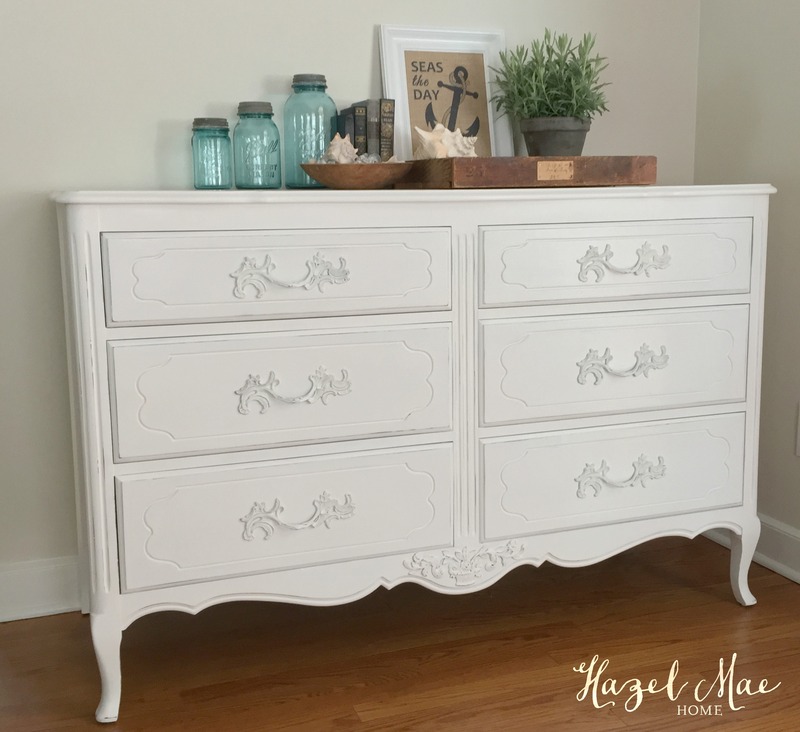 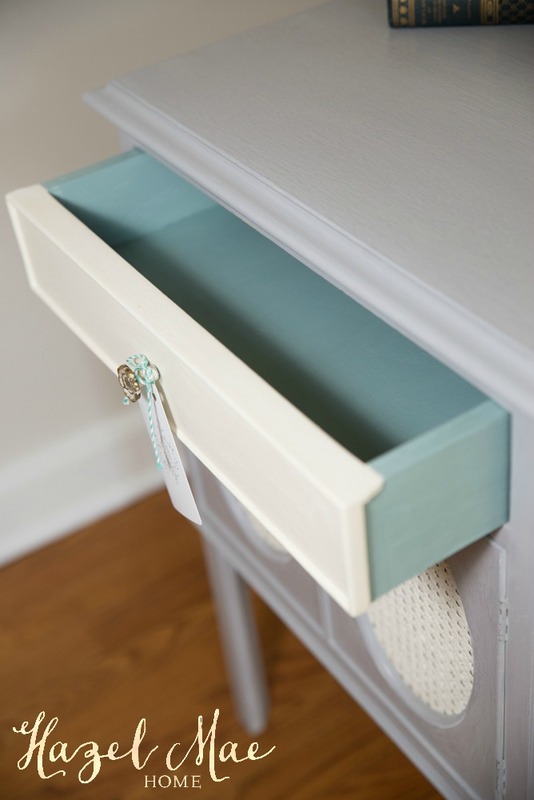 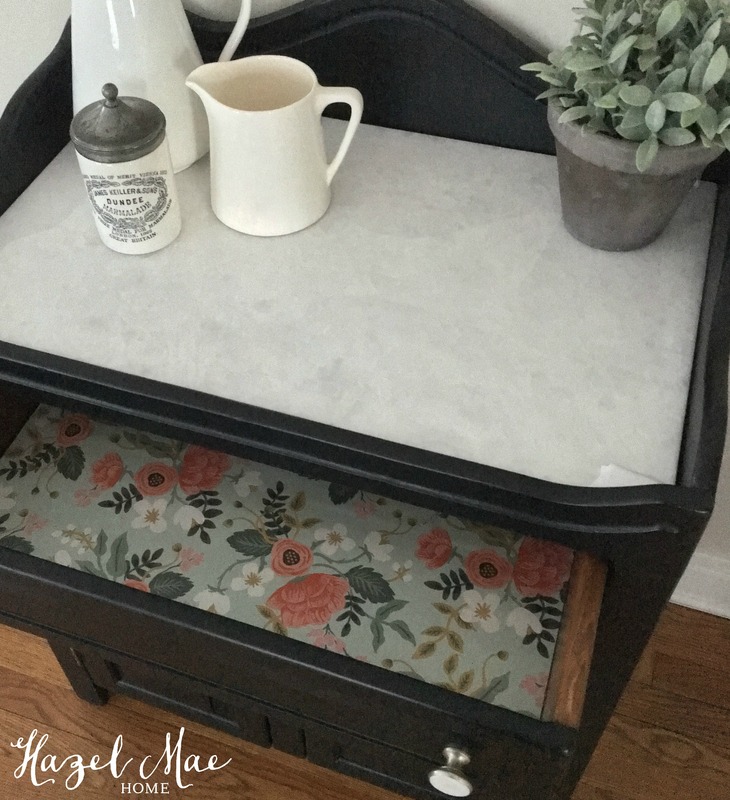 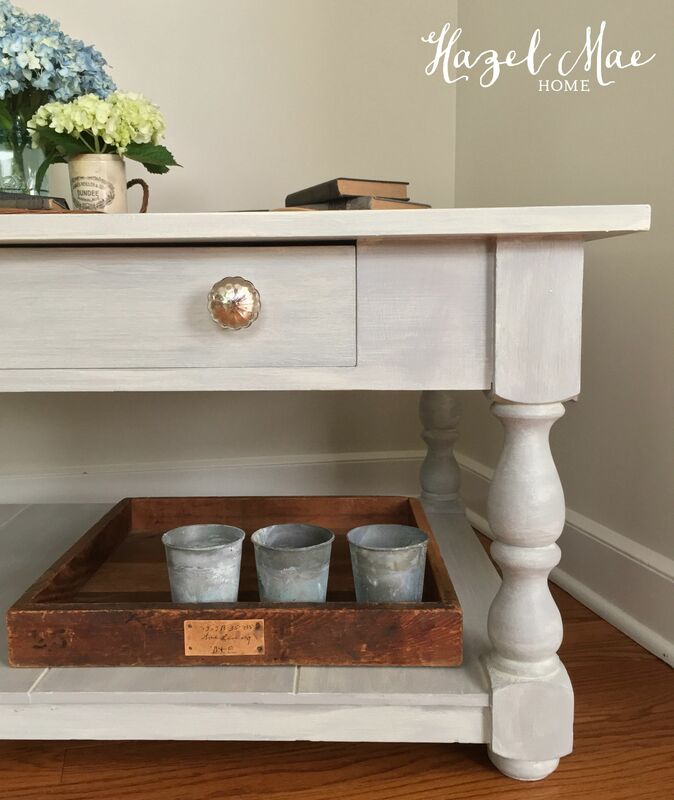 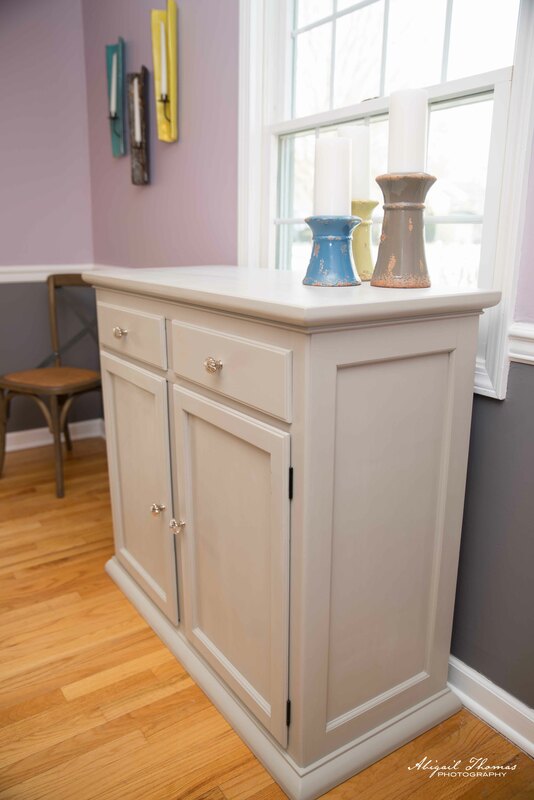 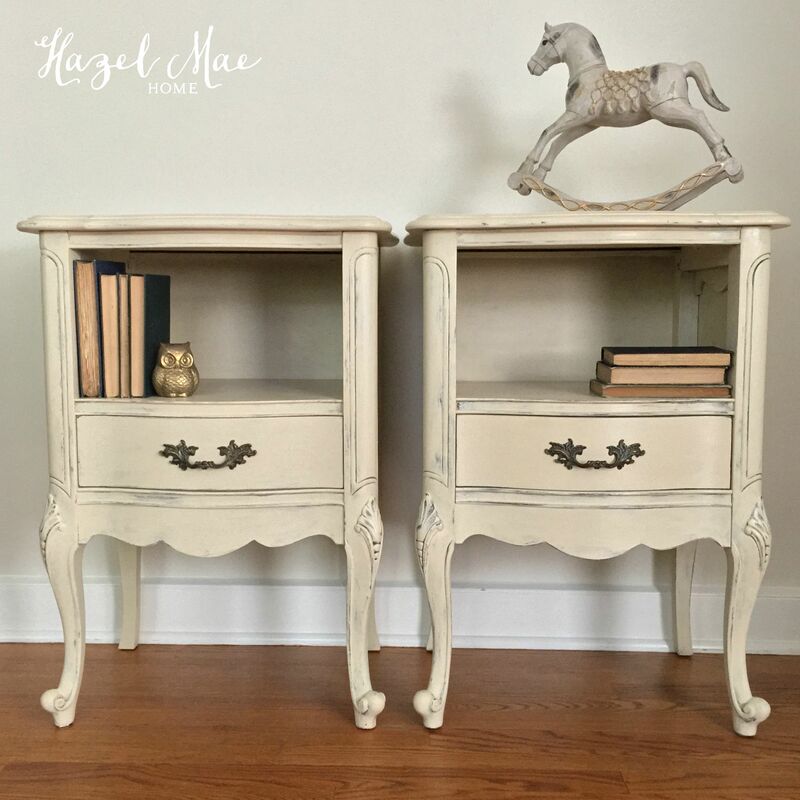 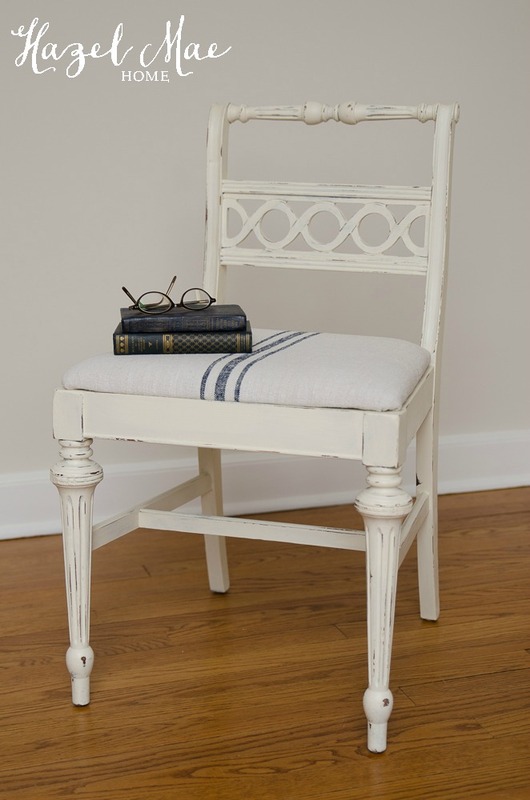 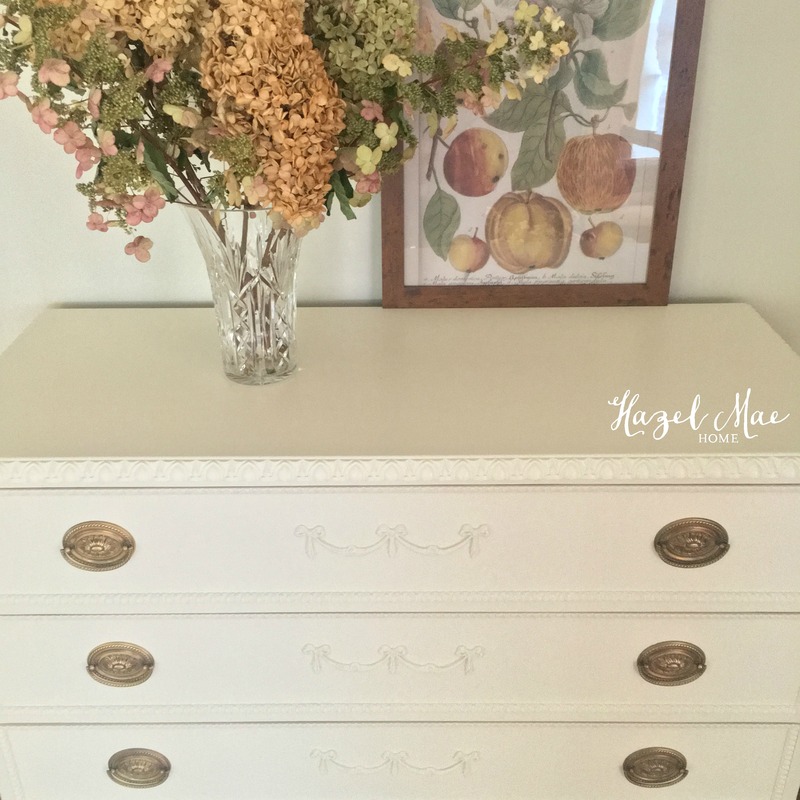 A custom mix of 1:1 Annie Sloan Chalk Paint French Linen / Pure White and new hardware completely change the look and feel of this piece. 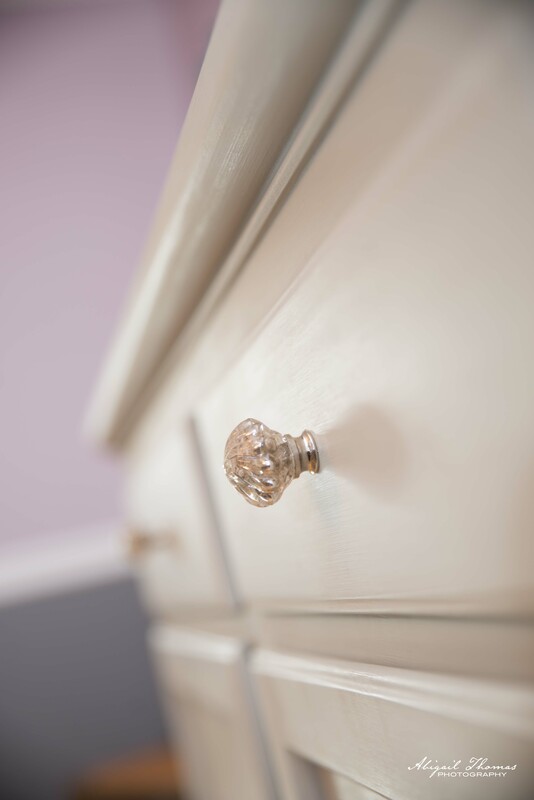 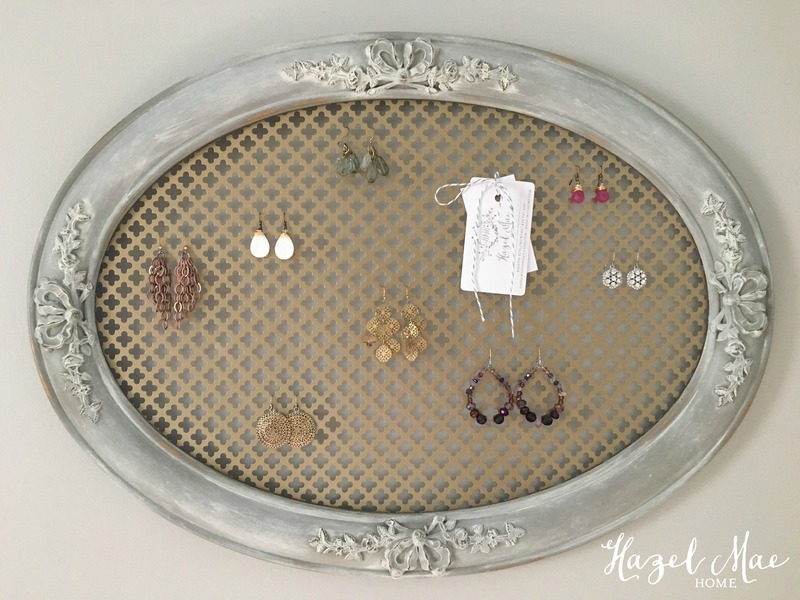 The mercury glass hardware that I suggested to Lexi is from Anthropologie. 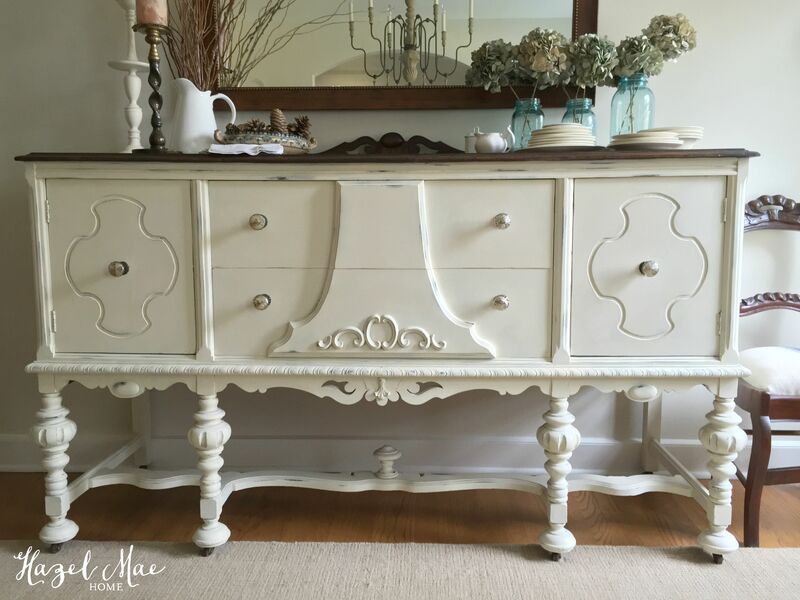 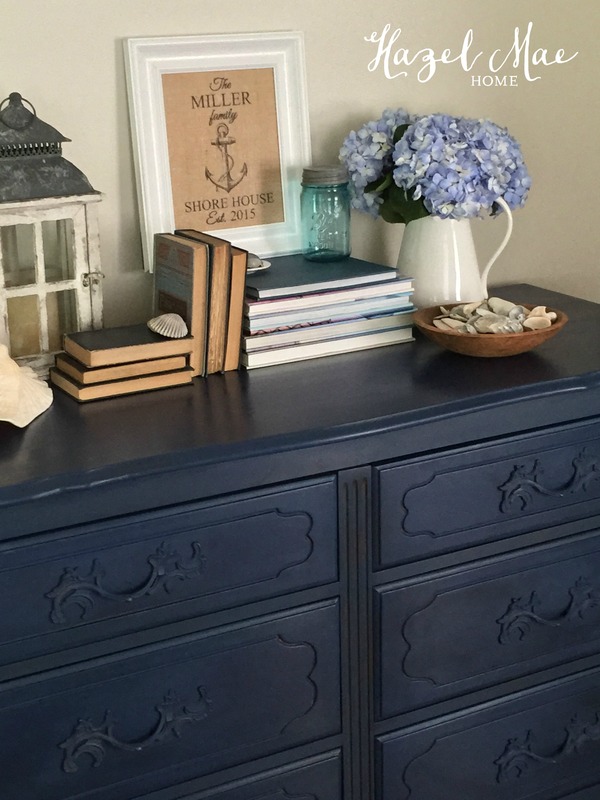 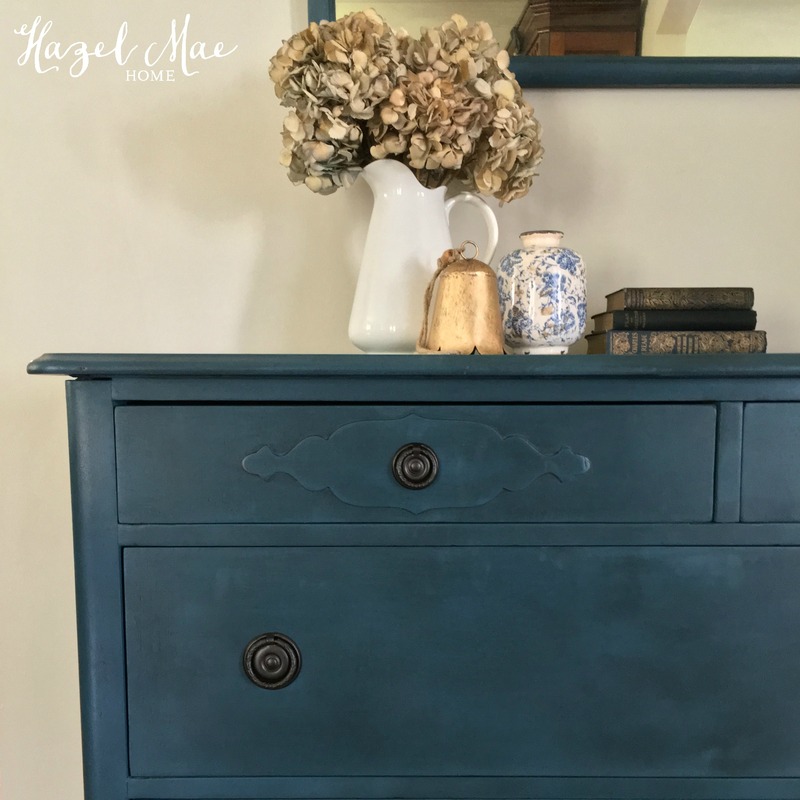 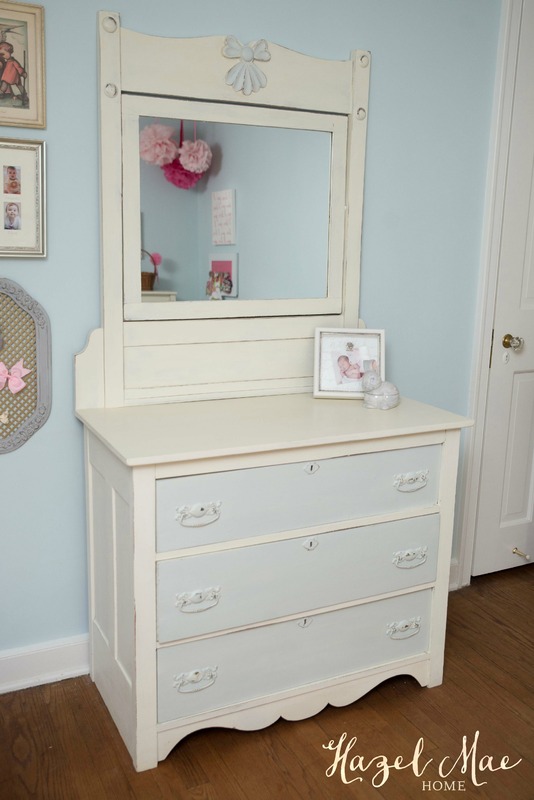 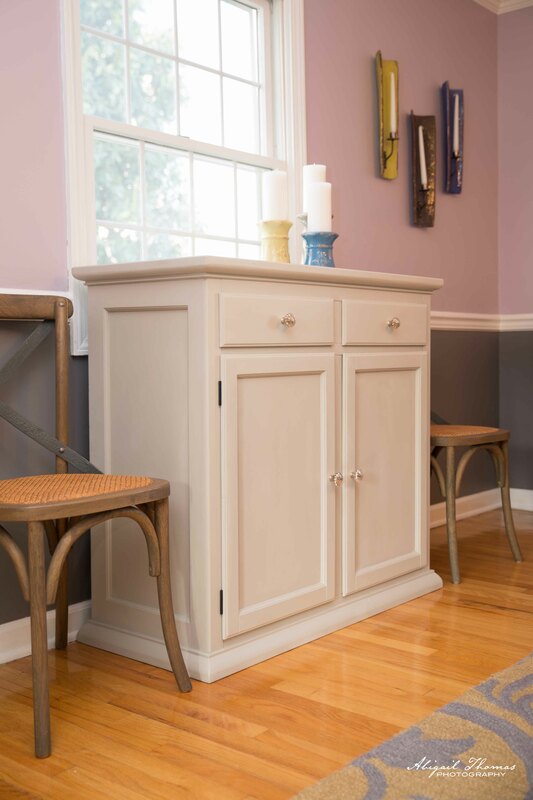 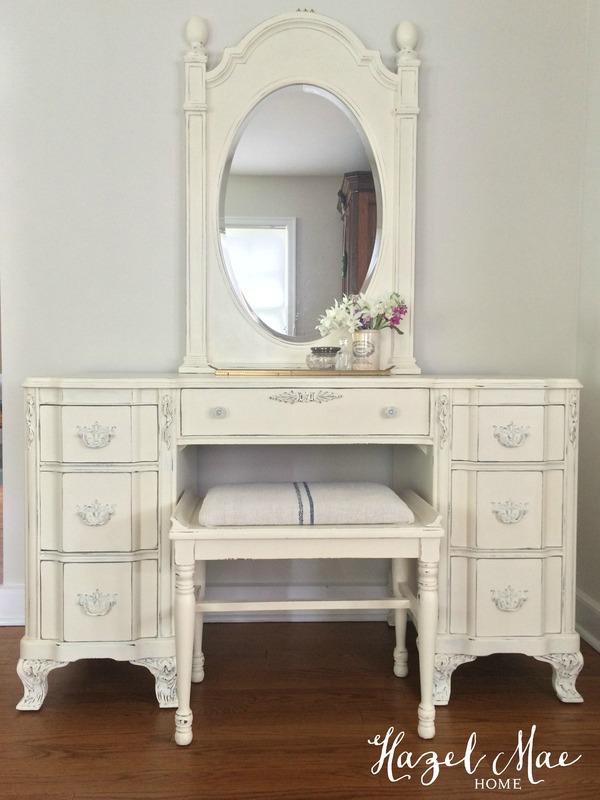 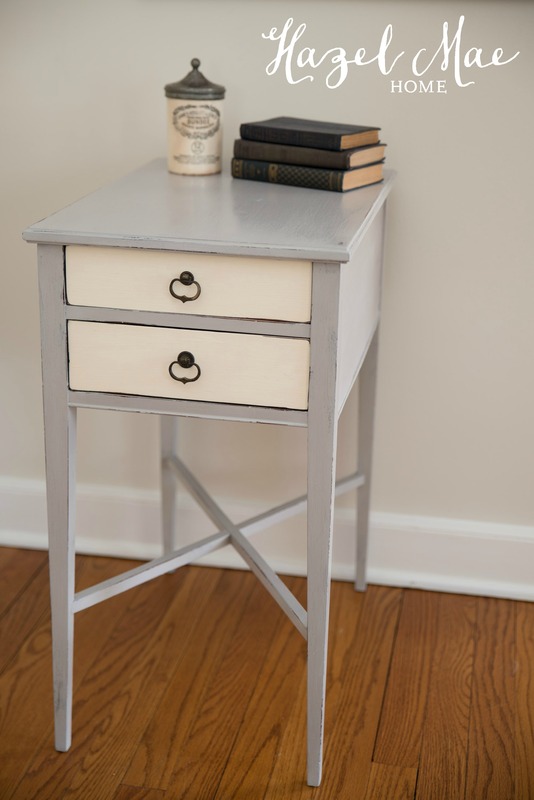 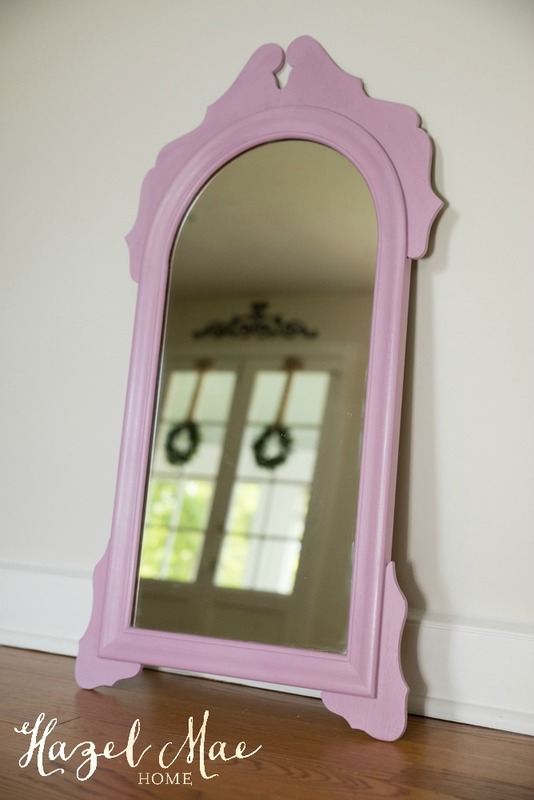 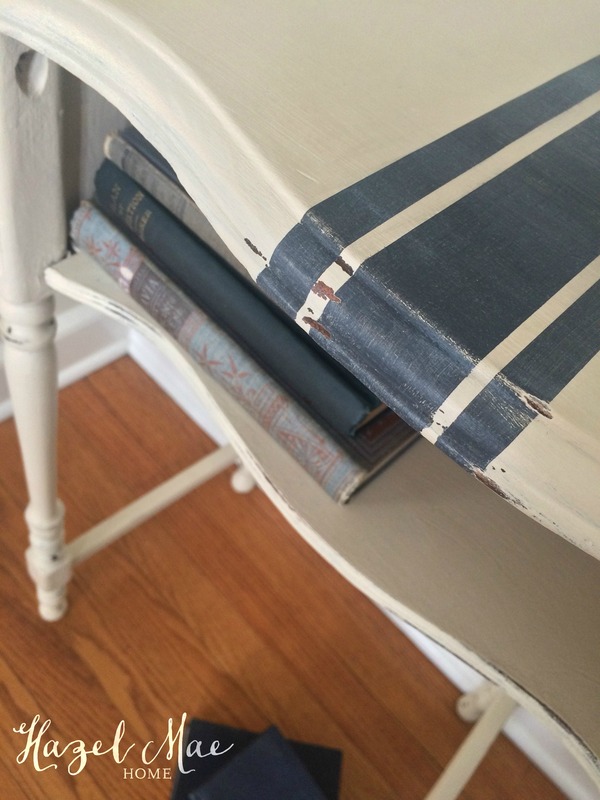 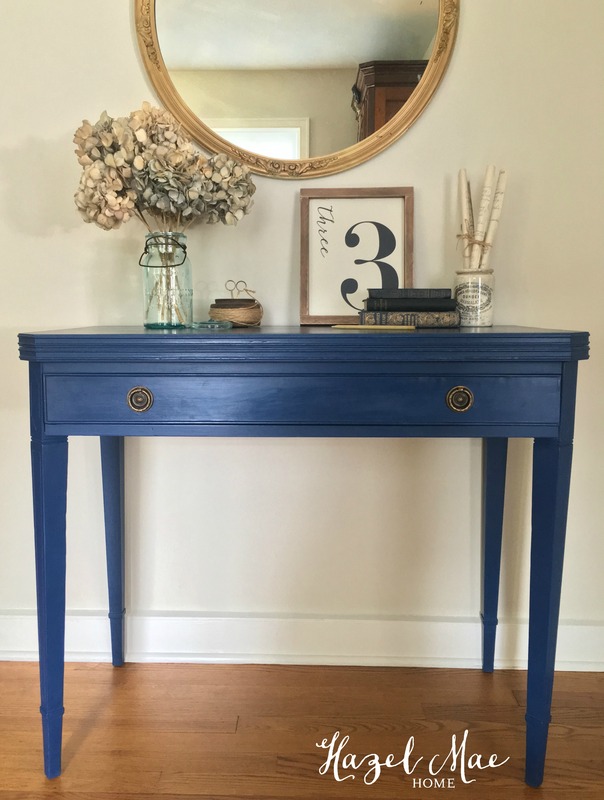 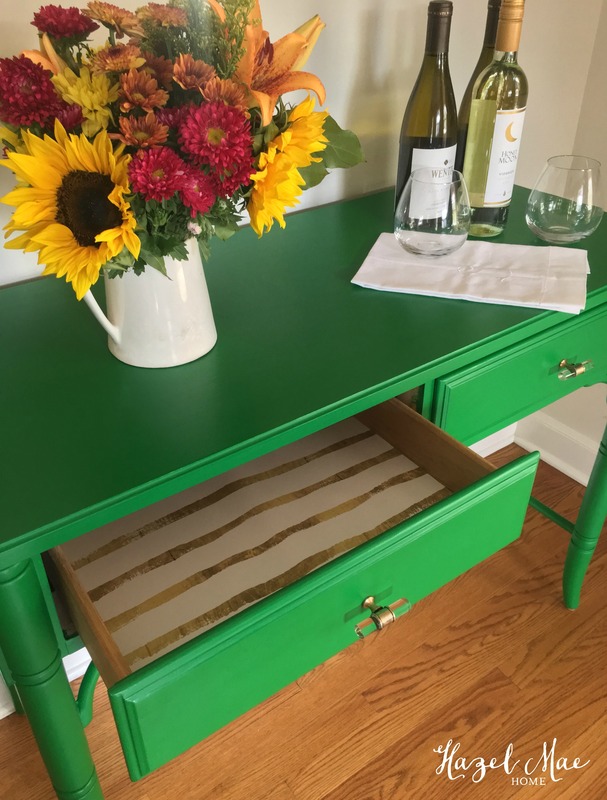 The new hardware and the beautiful custom paint color lighten up this previously heavy piece. 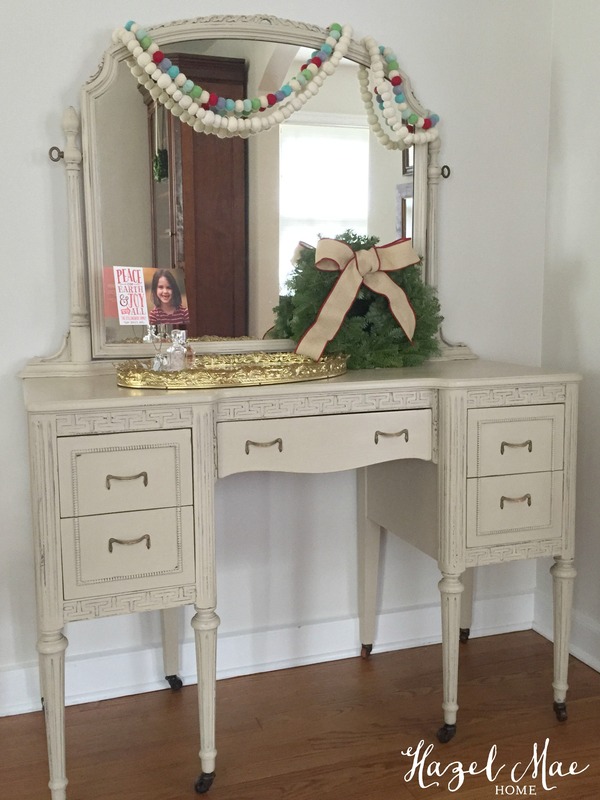 Lexi’s dining room is now ready for many family gatherings in 2014!